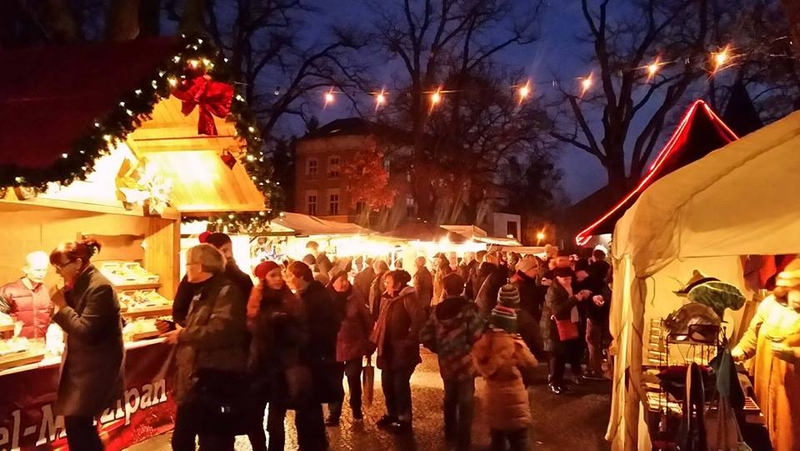 For more than 15 years, the 'Bohemian Christmas Market' on the Babelsberg Weberplatz has been one of the most beautiful Christmas markets in the state of Brandenburg. For three days, the romantic square at the Friedrichskirche will prepare for a contemplative feast. On the first weekend of Advent, the scent of hot mulled wine and roasted almonds will spread among many sparkling lights and fairy tale characters. The special flair of the Bohemian Christmas Market is provided by the traditional craftsmen, traders, artists and innkeepers. The Bohemian Crystal Fairy and Santa Claus will charm the visitors. The official opening of the Christmas market with stollen cut, the Bohemian crystal fairy and Santa Claus on 30.11. at 18.00. The traditional Bohemian Shepherd Mass will take place again this year on 01.12. at 4.00 pm in the Friedrichskirche on the Weberplatz. There is a concert guest performance by the chamber choir Canticorum and the chamber orchestra Quattro Corde Prague.